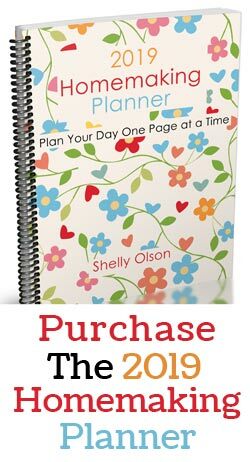 Do you need a great gift for your Valentine? This gift idea is an easy one to make and it won’t break the bank either. In fact you could make quite a few bars of this peppermint soap with one block of soap base. Just so you know, some of the links in this post are my referral links. 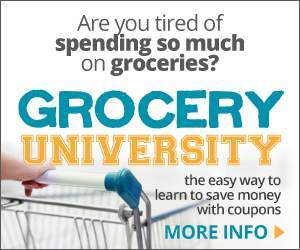 Which means when you use them and purchase an item I can make a little money at no extra cost to you. You can see my disclosure policy for more information. I like to purchase the shea butter soap base, if I’m not making the soap from scratch. It has a nice feel to it. I usually purchase my soap base from Michael’s and use a 40% off coupon, making the whole 2 pound block right around $6. Or try this one from Amazon (affiliate link) if you don’t have a Michael’s near by. From the last 2 pound block of soap base we purchased, we made 2 bars of vanilla coffee soap, 2 soap on a rope bars and these 4 bars of peppermint soap too. We still have enough left for 2-3 more bars. So, not too bad for just $6 of soap base. 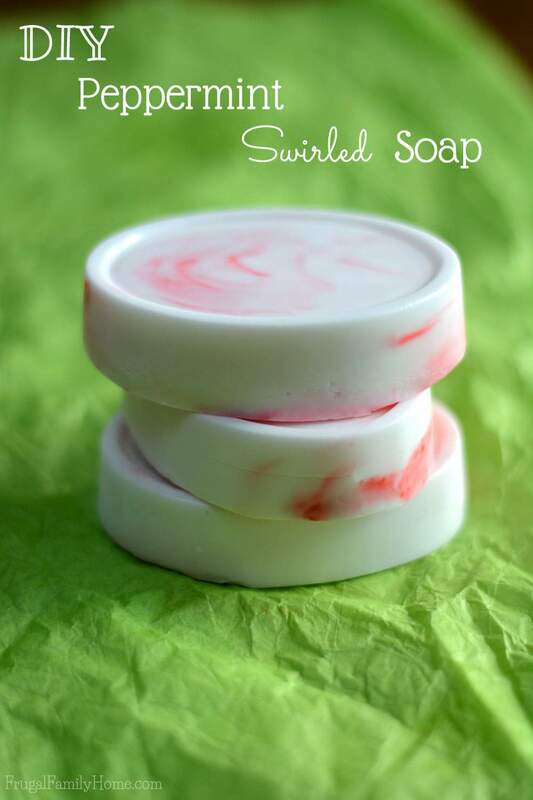 Because this soap is for Valentine’s day, I thought it would be nice to add a little color to the white soap. I purchased soap colorant. (affiliate link) But truth be told, if you are going to use the soap right away, a few drops of food coloring works good too. The food coloring just tends to fade in color over time. 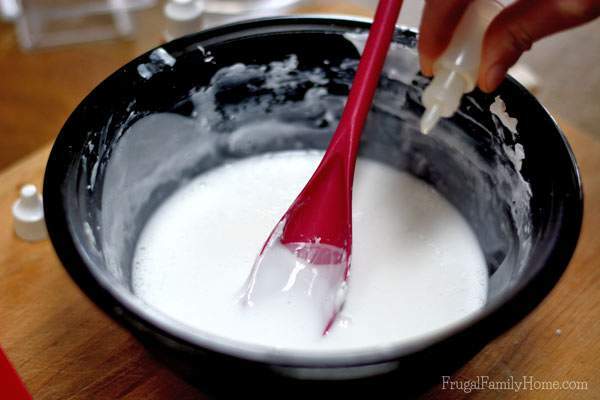 Step 1 Cut up the soap base, cut the soap base into small chunks and place it in a bowl that can be microwaved. Step 2 Melt the soap, Place the bowl in the microwave and microwave the soap chunks for 30 seconds. Then microwave at 10 second intervals, stirring occasionally until the soap is melted. If you don’t want to microwave the soap, you can melt it on low, in a pan on the stove. Just be sure to stir, so it doesn’t burn. Step 3 Add in the Fragrance, Once the soap is fully melted and there are no chunks remaining, stir in the fragrance. (affiliate link) The amount depends on how fragrant you want the soap. We usually put in about 6 drops. It’s not too strong that way. You can use essential oils or soap fragrance which ever you prefer. I have used both in the past. 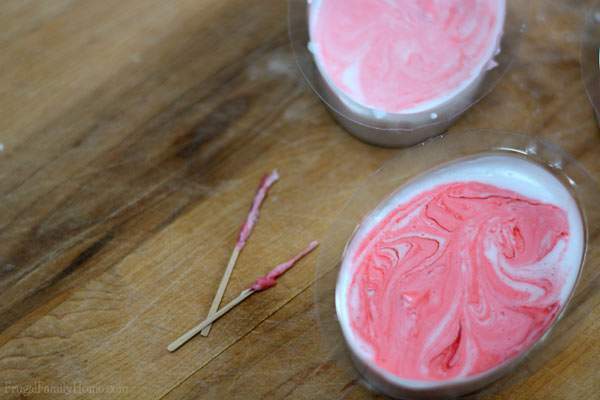 Then use a toothpick to swirl the color in. I didn’t work quickly enough and it didn’t mix in as well as I would have liked. But that is alright. Just work more quickly and you can get a better swirl than me. Step 5 Curing the Soap, Let the soap sit without touching it, until it’s cured. Mine took about an hour but it all depends on the size of your mold. The bigger the mold the longer it will take to set up. Once it hardened, the soap will have pulled away from the side and should pop out of the mold. 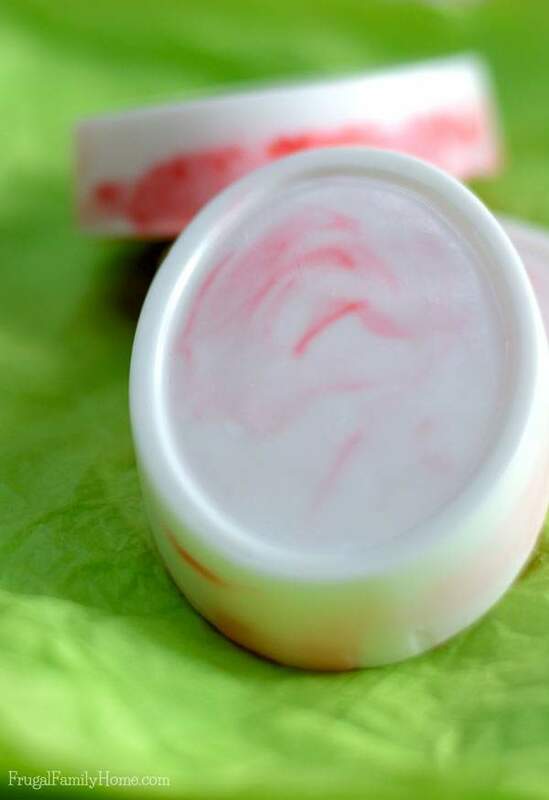 That’s all there is to making your own homemade soap to give as Valentine’s Day gifts. These make a great gift for those who don’t like or can’t eat candy. What do you look forward to making or getting around Valentine’s Day? 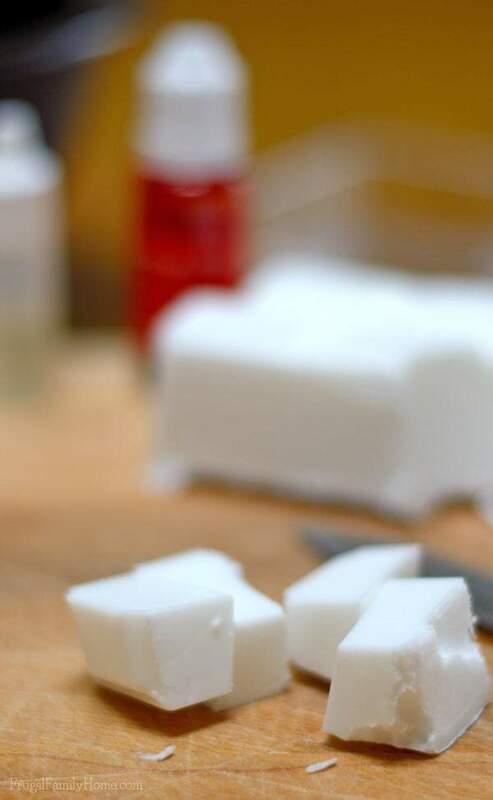 Who knew how easy it was to make your own soaps? 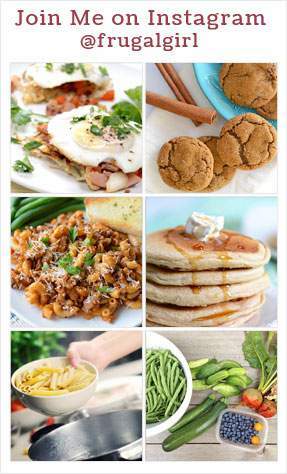 Thanks for sharing this easy recipe Shelly! Where do you purchase your beautiful oval molds? I found them at Michael’s. I hope that helps you out Albert. Maria, I purchased the shea butter melt and pour soap base at Michaels. You should be able to find a similar soap base at your local craft store or you can order it from Amazon. I hope that helps. Christina, We usually use 6 drops of fragrance oil. I’d start with that. Then see if you like the scent and adjust from there. I hope your soap turns out great!